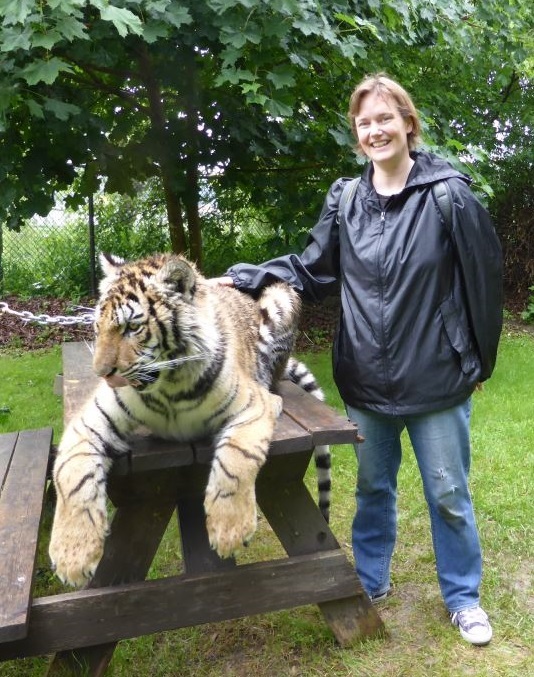 My first trip to Jungle Cat World was part of my 40th birthday celebrations, and at that time, my hopes had included having the experience of being able to pet a tiger. The specific tiger I’d hoped to meet was Nadine, but she was off-site that day, so even though I was disappointed, I still had the amazing experience of getting kisses from a beautiful arctic wolf named Vanda, feeding blueberries to some goofy young ring-tailed lemurs, and snuggling Tulip, a baby skunk. I started emailing with Ashlee at JCW, trying to get details sorted out and praying for the weather to cooperate. When the day finally came, it all ended up happening pretty perfectly, but not really as a result of all my hard work and planning! First, the weather was terrible! There was a near-monsoon on the way there, with rain so heavy at some points we had to slow down just to see where we were driving. On the way back, ominous tornado warnings came over the emergency broadcast system with frightening regularity. As soon as we pulled into the parking lot, however, the rain stopped, and the sun was out soon after! A whole busload of kiddos left as we arrived, and we ended up almost having the park to ourselves for the day! Ashlee had given me the option of splitting up our BTS time into two parts, as Contessa’s trainer had to leave for the afternoon. Because of the rain, however, tour times were a bit delayed, and we needed to wait a few minutes before we could begin. We filled out the required forms, tried to coax the office cat into coming over to say hello, and then chose the other two animals we’d be interacting with that day. 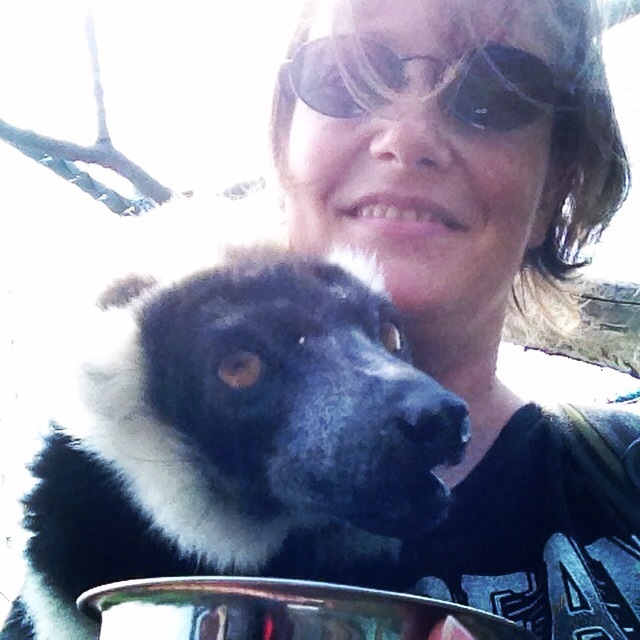 I already knew I’d be picking the ruffed lemurs, because…they’re lemurs, and I love them. 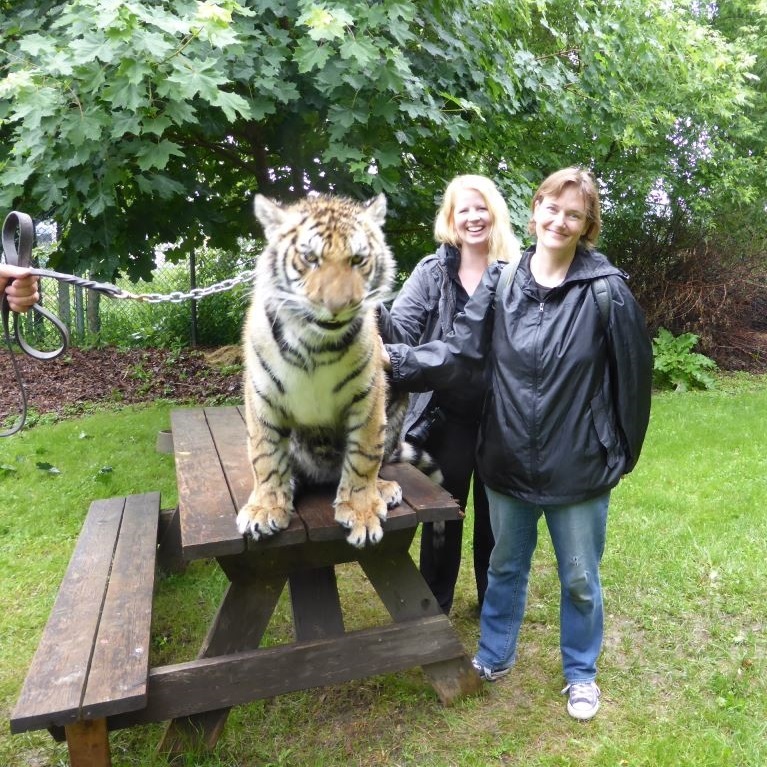 The tiger was also a given, of course. And for our third animal, I had a few ideas in mind, but wanted to ask Ashlee’s opinion on the day, to see who would be most interactive. 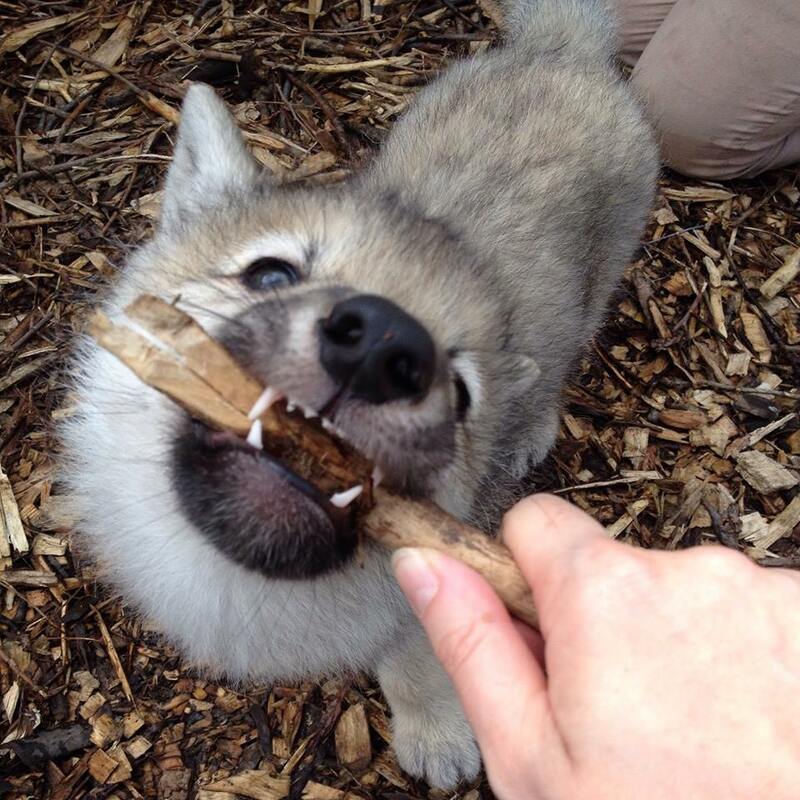 Little did I know, our luck that day would be insanely good for a number of reasons, but not the least of which were the weeks old timber wolf pups now available to play with!!! Whaaaat??! They were also a no-brainer, and our tour was begun. 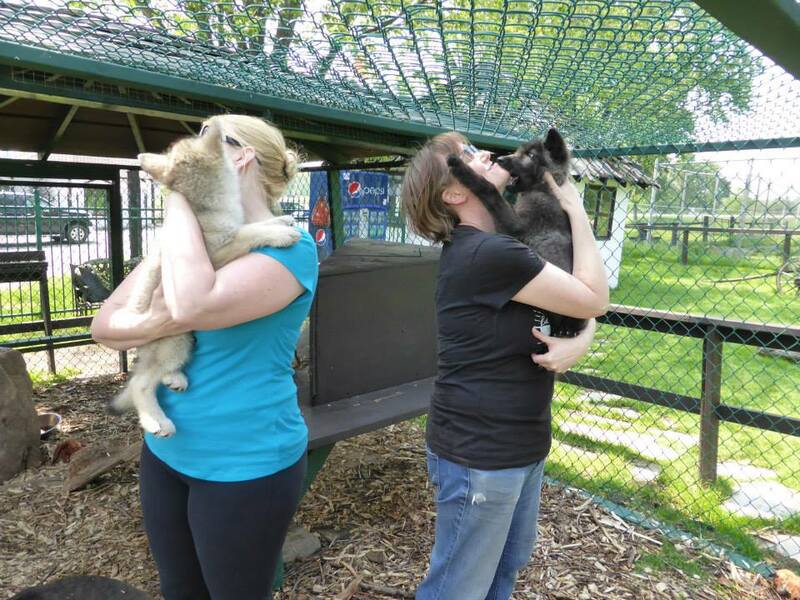 We actually got to see the puppies first, as we waited for our guide to take us over to where Contessa was waiting. We fawned over them, they licked fingers through the caging, and we told them we’d be back later to play with them. They were sisters, one light, one still dark…Sonya and…I want to say Sarita? Something like that. I wish I’d written names down. I can’t remember our tour guide’s name, either. I want to say Amy, or something that starts with an ‘A’, but my MS brain just doesn’t hold information anymore, and I was too excited to write things down at the time. Anyway, we headed over to a separate area where Contessa waited, trying to wrestle with her trainer after rolling in the wet grass. 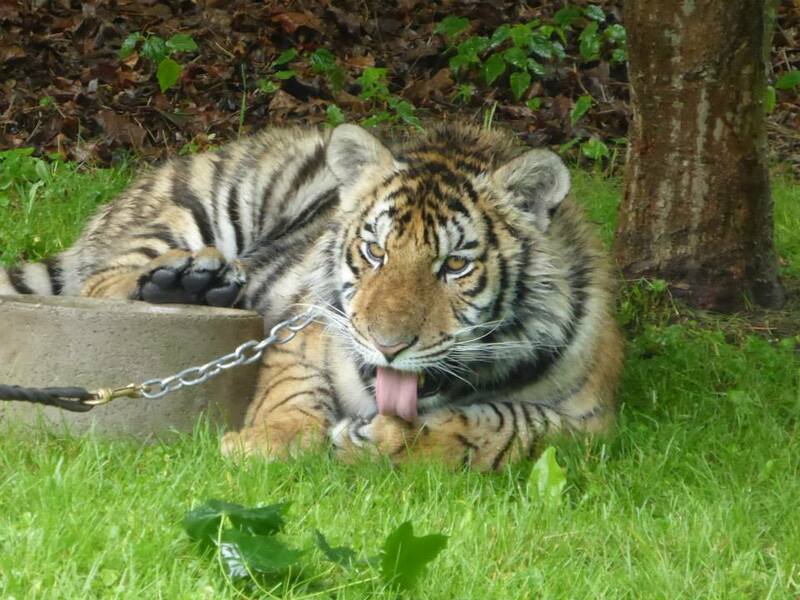 Big cats love water! She was already almost 9 months old, I think, and to my eyes HUGE, but I know she still has growing yet to do! She was beautiful, impressive, a bit terrifying, and very present. She was super chatty (much like my cats at home), and restless, wanting more to play than to lay on a table and be pet. Her many meaty treats, however, helped persuade her to sit mostly still for a little while longer. We stood next to her and talked to her trainer (whose name I also forget, unfortunately – sorry guys!) while running our fingers through her very wet fur. I imagine she was also riled up a bit from the most excellent downpour that had recently passed, but really, for a young cat, she was really well-behaved and tolerant of our presence. Thank you, meaty treats! At one point, Contessa leapt to her feet and jumped off the table. Her trainer had a firm grip on her leash, and we took a step back to give her space. Trainer and tiger wrestled a moment, and walked in a circle together for a bit, then Contessa got back up on the table and we resumed the petting. Her trainer thanked us for not screaming and running away (which is exactly what we did on the inside), because that would have upset her and, frankly, made her want to chase us as prey, so we were glad to have held it together, too, for everyone’s sake! 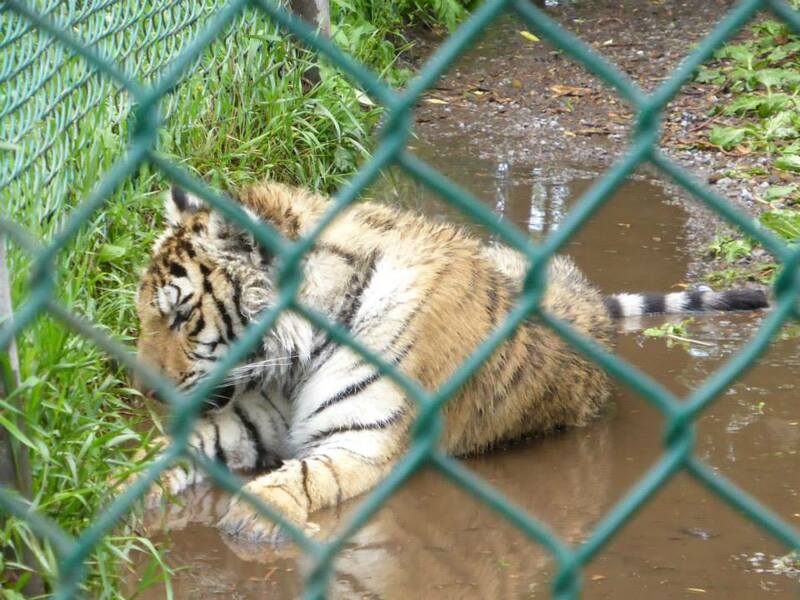 After we left Contessa (and she’d settled back in her enclosure by chilling out in a mud puddle, we wandered over to the area where the daily feeding tour was about to begin. There were peacocks and geese (some with goslings) wandering around, and much photo-taking commenced even before the main tour got underway! I love the feeding tour – I get to learn about each animal – as a species, and as an individual – and watch their various personalities shine when they are presented with food! I loved this one in particular, though, because the girl running the tour, Jen (hoping I at least got her name right), clearly loves her job, and the animals in her care, and the animals seem quite fond of her, as well. There’s nothing I love more than learning from someone who is passionate about what they do, and have the level of practical knowledge to back it up. 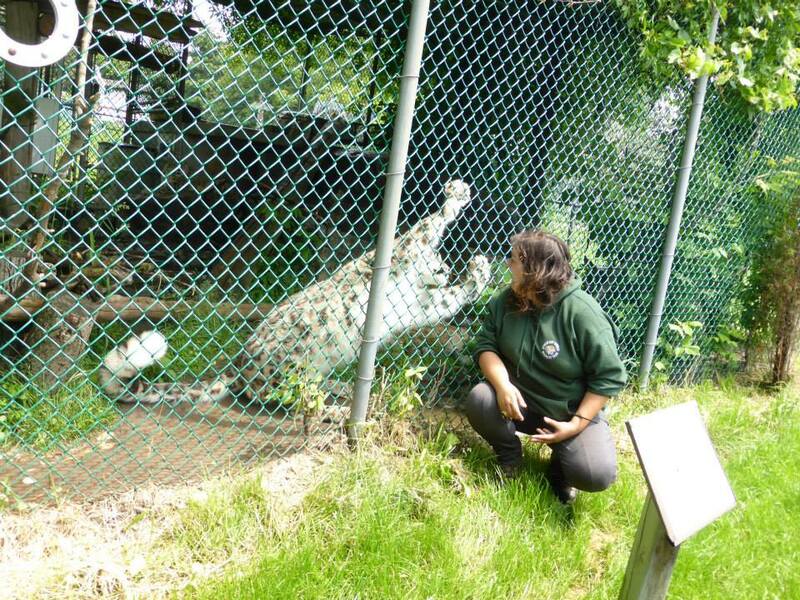 From trying and failing to get the handsome white lion to stand on his hind legs, to sharing her amazed excitement when the male tiger (who lives with Nadine now – Raj?) actually washed his food in his water dish prior to eating it (! ), speding that time with Jen was more fun and informative than I can possibly express! We took our time, too, pausing at each enclosure to take more photos and ask questions once the other visitors had moved on. Once the feeding tour was over, we returned to the main office to hook back up with our Behind-The-Scenes guide and hang out with the other animals we had chosen. 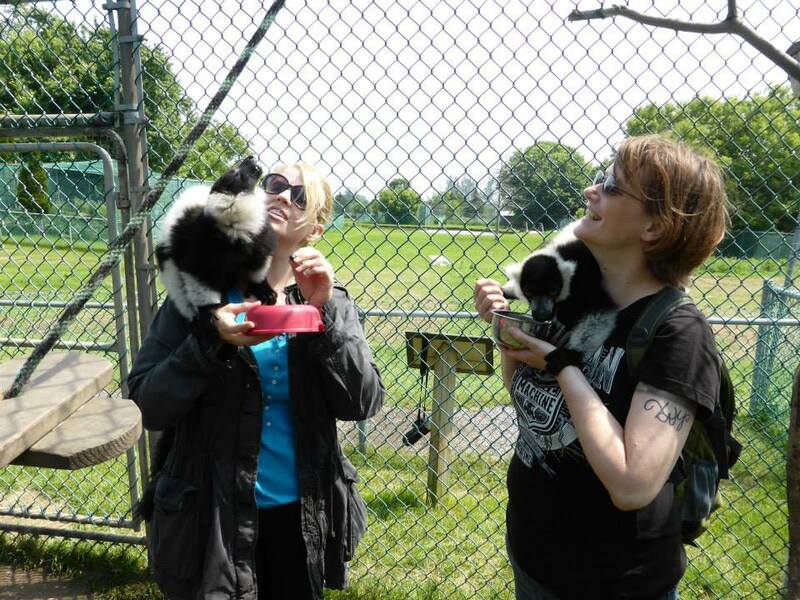 Up first was the ruffed lemurs. I am always excited to hang out with lemurs, in part because they remind me of my one cat, Flynn. 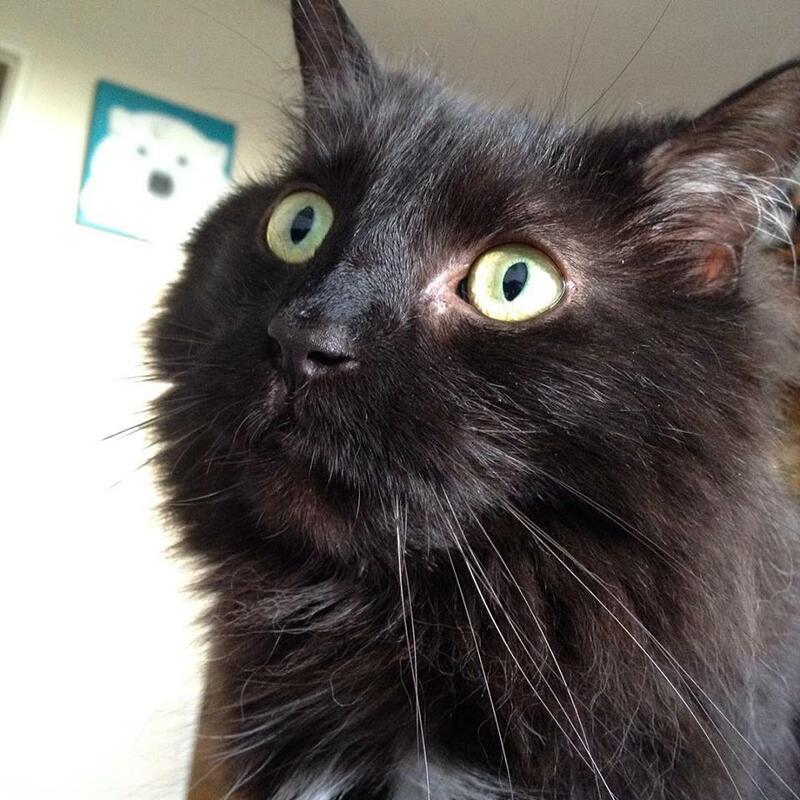 Like lemurs, she is also very soft and fluffy, and has that look in her eyes of constant surprise. 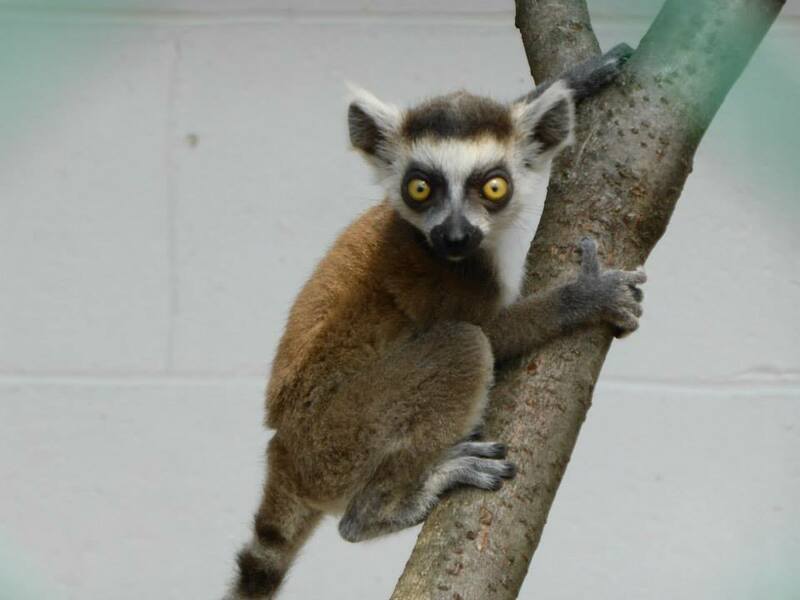 We went through the back way, and came across some BABY ring-tailed lemurs in their enclosure! If there is anything cuter than a lemur, it’s a freaking baby lemur. 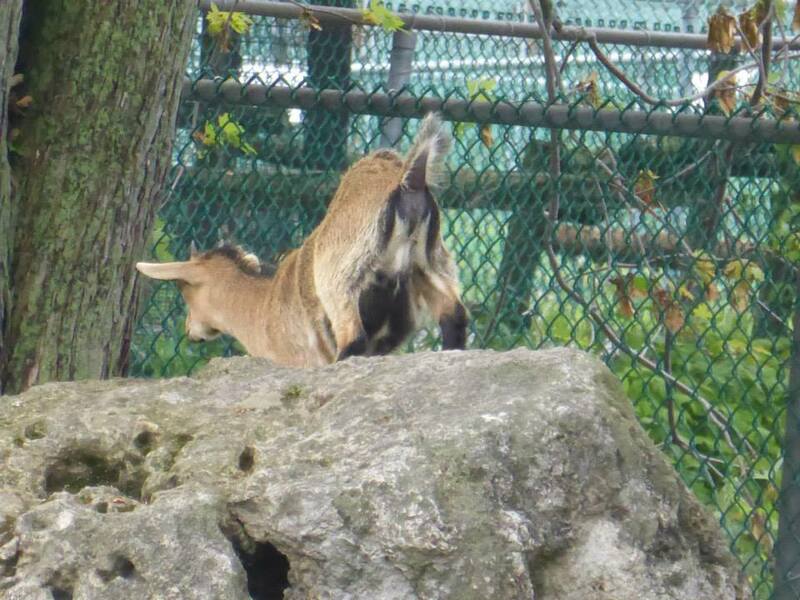 These ones were just starting to wander away from mom a little bit more, and we spent a few extra minutes watching them and, of course, taking a million pictures of the wee furballs before continuing on to the ruffed lemur enclosure. Our girl went in first so that the lemurs would follow her away from the door, then we let ourselves in as soon as they were distracted. The moment they realized we had bowls of blueberries, though, BAM! Lemur on the shoulder! 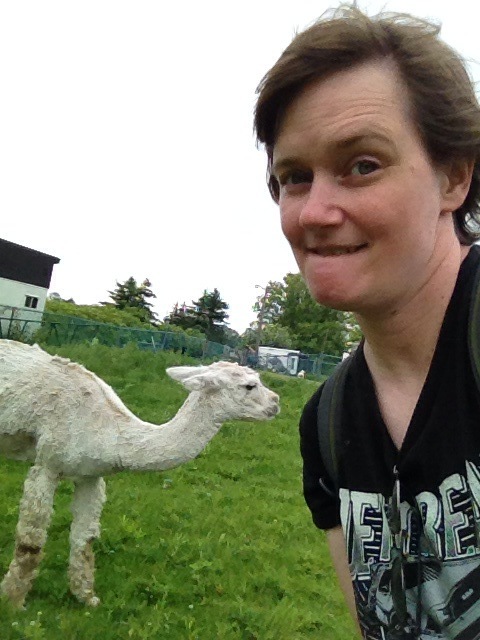 The male with me helped himself to my bowl, and I spent my time petting him and talking to him and trying to take a selfie with him whenever he raised his head. The female was a tad less aggressive, but every bit as cute (maybe even cuter) as she held Kristi’s hand while awaiting her next berry treat. My guy just stuck his head in the bowl and went to town! Haha I love lemurs! 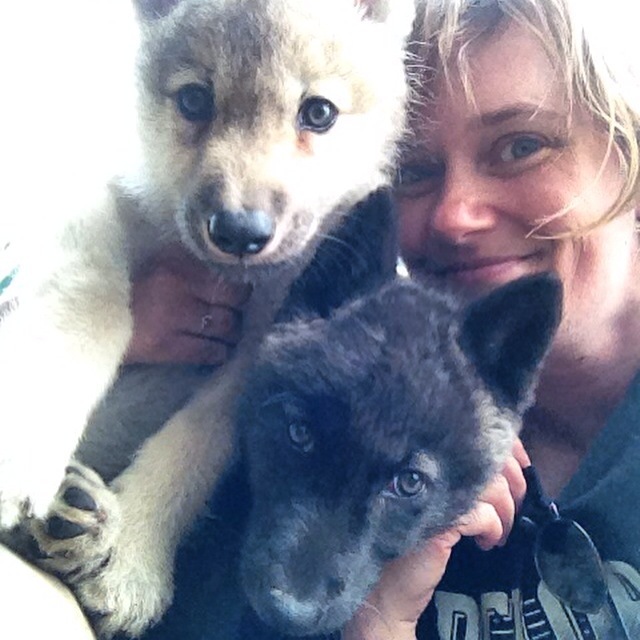 I managed to get a selfie with them, too, and then just sat down and enjoyed the cute furry whirlwind of adorableness! We played tug of war, our shoes were chewed on, Kristi’s hair, my sunglasses – one little girl even gave me a bit of an alien face-hugger experience! Belly rubs were given, toys were thrown and not brought back. It was a mututally exhausting and yet rejuvenating experience, I think! Those little girls were definitely the highlight, if only for their unbridled love and enthusiasm! It was very hard to leave them, but soon our time together was up, and it was time to roam the grounds a bit more before heading home. 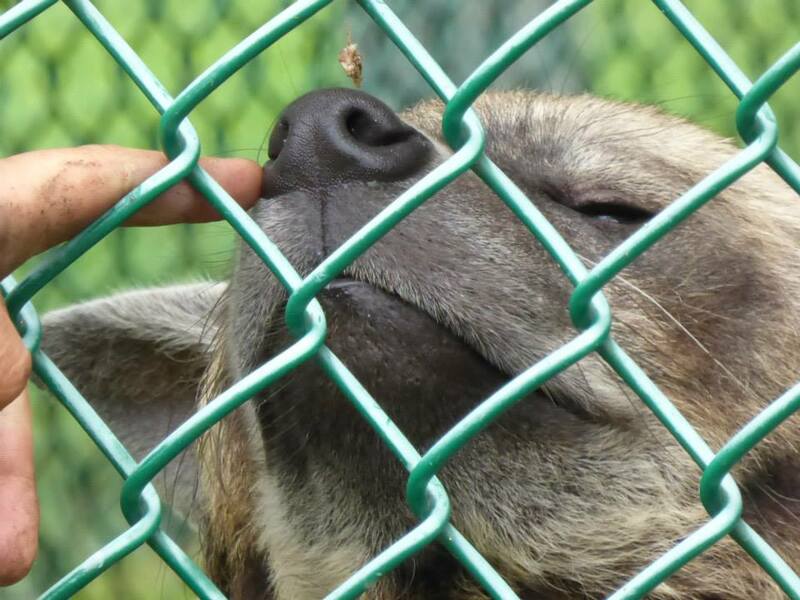 We stopped by the baby wolf enclosure to say goodbye before we left, and those wee girls were passed OUT with each other (and their stuffed toys), so we let them be, and went on our way. I can’t recommend this experience enough! 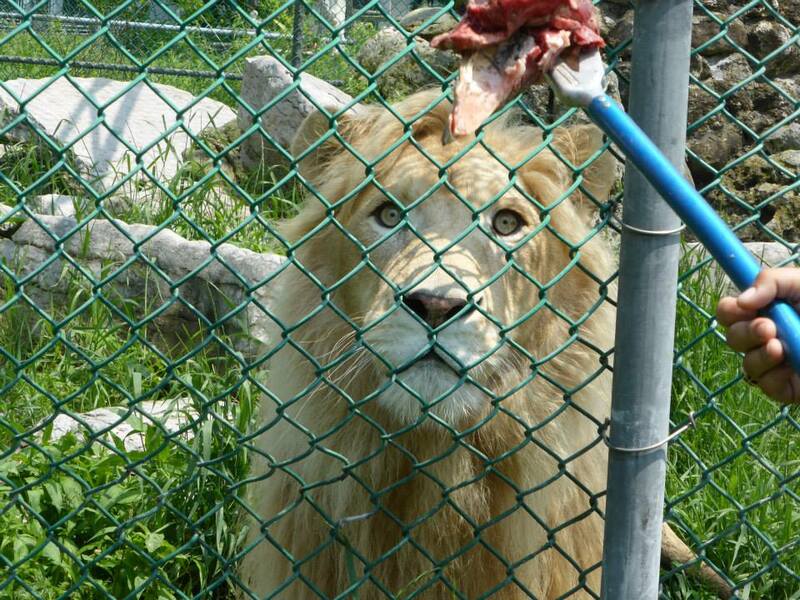 Jungle Cat World is small and out of the way, but the staff know what they are doing, and put in their best efforts every day to give the animals in their care the best lives possible in a captive situation. 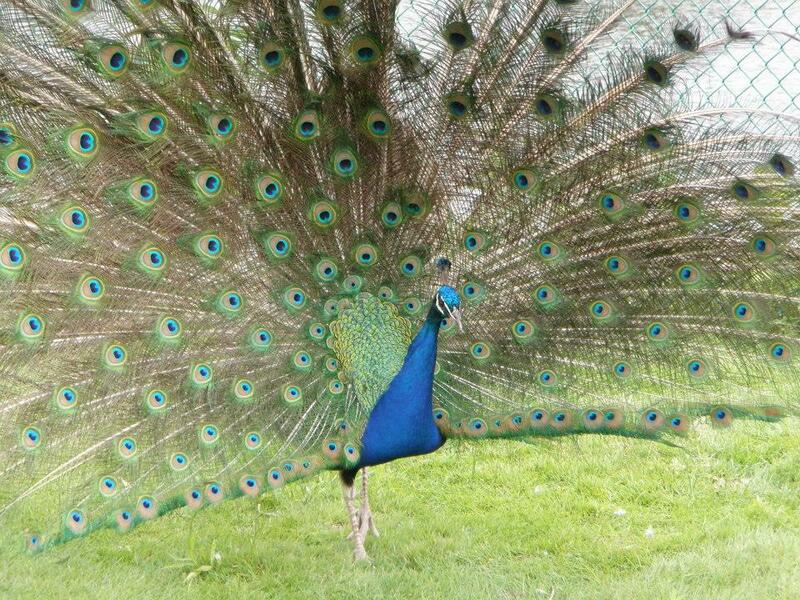 For various reasons, these individuals would not survive in the wild, but are thriving in their alternative home. If I could afford it, the Behind-The-Scenes tour would be an annual outing, and it would be delightfully different each and every time. Though I would probably always have a lemur on my list! As it is, I’ll just keep going as often as I can, and enjoy the heck out of it every chance I get! Please go check out their website here, and note all of the unique opportunities they have available! You can just go wander for a day (though definitely take in the feeding tour, no matter what – it’s amazing! ), or do a Behind-The-Scenes tour of your own, or you can even spend the night and experience the insane amount of activity that occurs when nocturnal animals wake up for the night! 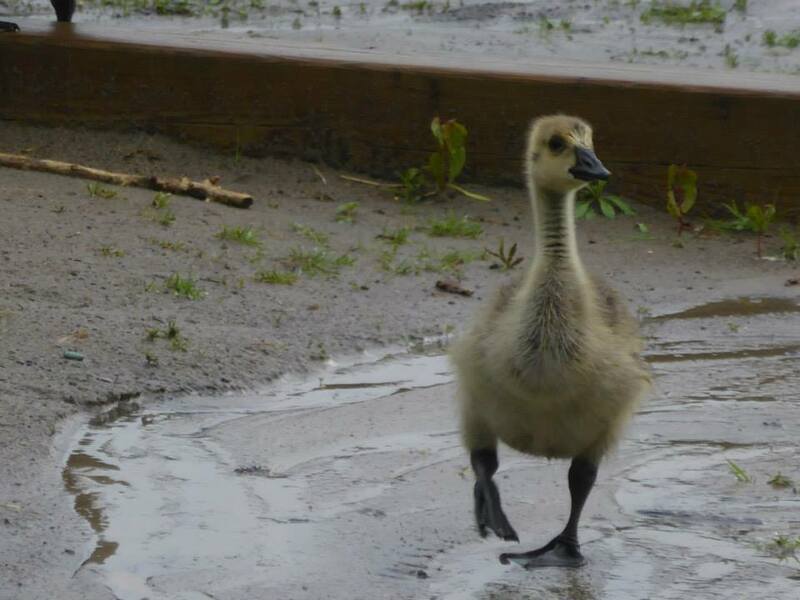 There are lots of other critters roaming the grounds, too – goats, sheep, alpacas, a very chatty turkey, geese, ducks, peacocks, and more bunnies than you can shake a stick at! 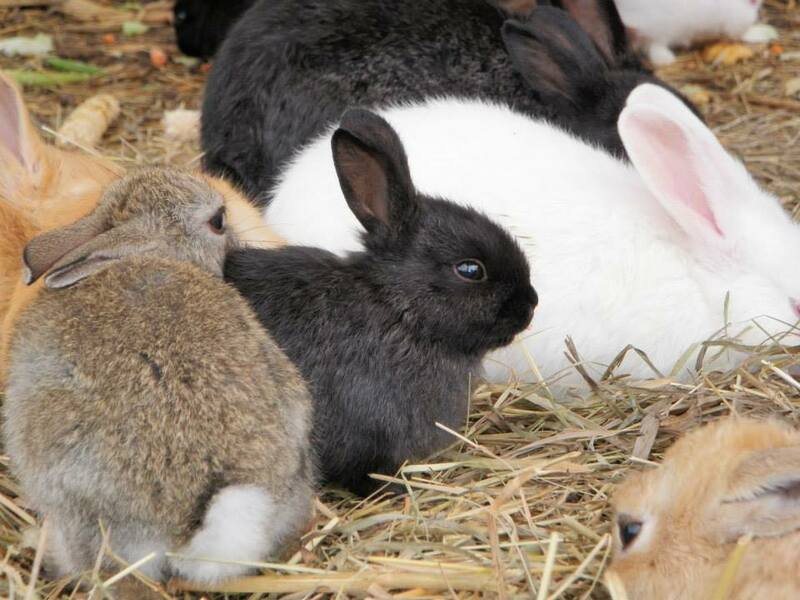 Though – why would anyone shake a stick at bunnies, really? So head on over to their website, follow them on Facebook and Twitter, and if you’re in the area, definitely make a point of stopping by to see first-hand what they are all about! Donations, of course, are also always welcome! 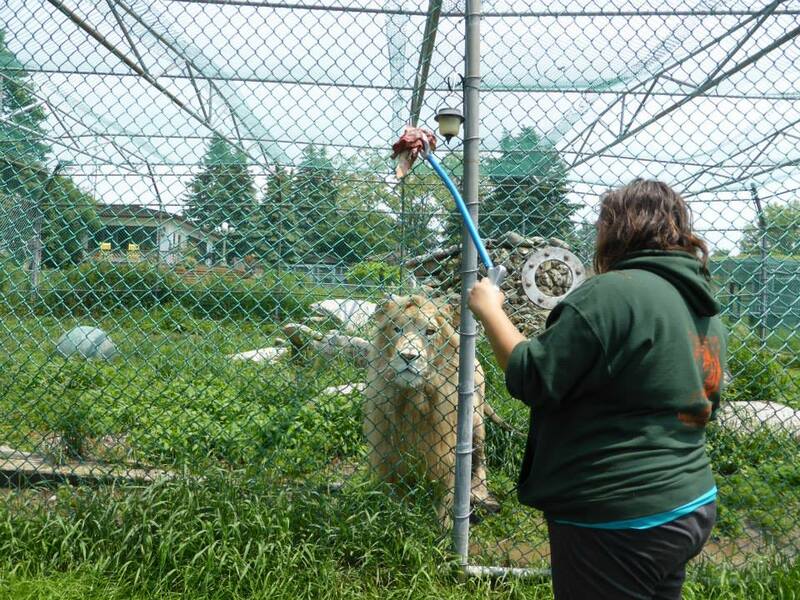 Jungle Cat World is more than just cats – it’s an experience of a lifetime!